The last thing you likely thinking about when you book a wholesale moonwalk sales website is what type of accessories you will need to purchase to go with the moonwalks that you are buying. But as with any large purchase, there are always accessories that you can look at that may not only help you physically with your business, but may also help you to expand your business as well. But what type of accessories go with a bounce house? There are a lot of different accessory options, believe it or not, and it will be up to you to look through all of the different options and to figure out which accessories are the perfect ones to help you with your business. While there are some accessories that you will not necessarily need, there are some that you will such as transportation. You will need to have a vehicle like a van, or a trailer that you can pull behind your car. The larger your business grows, the larger your transportation needs will be. A handtruck may also be a good idea. A commercial quality handtruck allows you to be able to move the inflatable items around much easier. If you do get one make sure you get one has inflatable tires as they are wider and can handle the heavy equipment easier on all sorts of different types of surfaces. Sandbags are also a necessity. 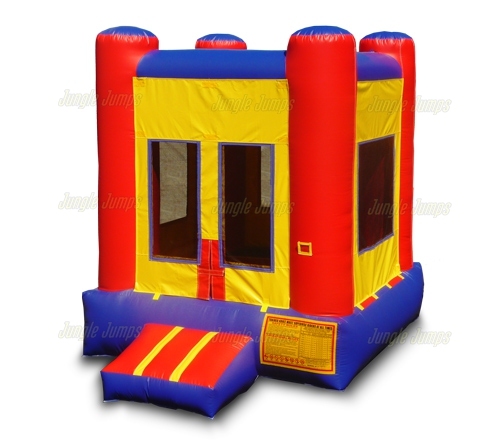 Most wholesale moonwalk sales websites will recommend that you have two sandbags on each corner of your bounce house. This is especially true if you intend on placing the bounce house on a hard surface. Sandbags covers are also a good idea as they will help you to connect the inflatable unit to the sandbags themselves. Since we’re talking about covers, tarps are definitely a good idea. A tarp will likely be included with the moonwalks that you have purchased, but it is a good idea to make sure you purchase an expensive, high quality tarp. These terms should be placed on the ground whenever you are putting the bounce house down, especially if you are placing it on a wet surface. Things like hammers, carpeting, a cordless vacuum, and extension cords are also very important if you want to make sure that your bounce house business runs smoothly. Let’s pretend there is a man who sells ice cream. The only ice cream he sells, however, is vanilla. Now there’s nothing wrong with vanilla ice cream, in fact vanilla ice cream is the base for many delicious confections. But this ice cream vendor has decided that he does not like any other type of ice cream and so will only sell vanilla ice cream. How many customers do you think this vendor gets regularly? If he has amazingly delicious vanilla ice cream, he make enough customers to stay open. If, however, his ice cream is just average it is likely that his business will not last a very long time. What does vanilla ice cream have to do with looking at moonwalks for sale so that you can start your own bounce house business? Actually, a huge amount. 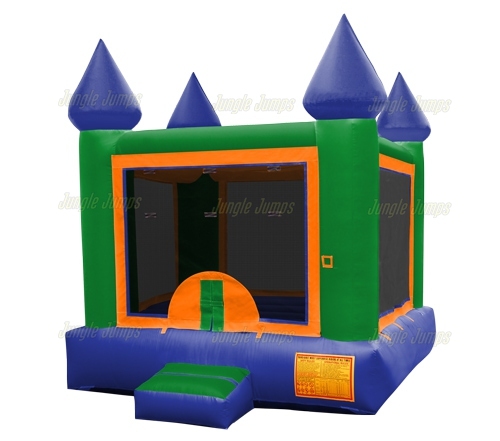 One of the biggest mistakes that many first-time bounce house rental business owners make is in assuming that all they need to do is have a couple of different bounce houses available for their clients. But if you only have a few different bounce houses available, you are like the vanilla ice cream vendor. 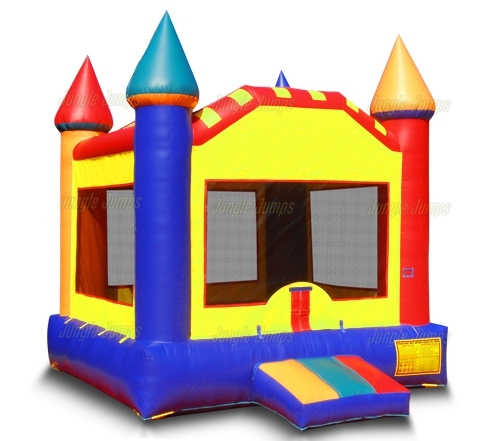 Eventually people are going to get sick of the bounce houses that you have available and will start looking elsewhere for their bounce house needs. That is why it is important that you are consistently looking at moonwalks for sale in order to diversify your selection. One thing that you need to do to be successful business owner is to offer something for everyone. For instance some people may want to rent moonwalks, while others may want to rent an inflatable obstacle course, and still others may be looking for an inflatable slide. If you only offer moonwalks for rent, you are limiting the amount of people who are going to want to contact you. If, however, you offer three different types of inflatable options you are opening your business up to a much larger cash flow. Make sure you are always looking at the different moonwalks for sale and that you are always looking to diversify your business. 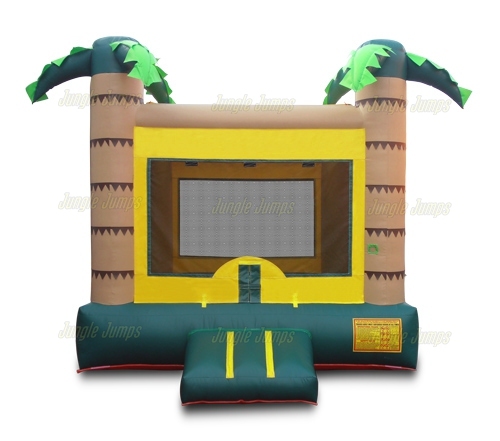 It is important that you get a solid client base, that is true, but that is something that your customer service skills can help you do – you do not need to have the same bounce houses available every time a client calls in order to keep them happy. One of the great things about today’s modern society is the fact that it is easier than ever before to get your business noted. Thanks to websites like Facebook and Twitter it is now easier than ever before to get thousands of people to notice your website in only a few short days. Unfortunately with the good always comes the bad, and when it comes to social media the bad is basically when someone decides to attack your business using social media. You may find that they leave negative comments on Facebook, or that they blast your business on Twitter. The last thing you likely thought about when you were looking for a commercial moonwalk for sale was how you were going to handle situations like this. The first thing you need to do whenever anyone is attacking your business on a social media website is to identify the issue. You first need to figure out if the person that is attacking you has a legitimate reason to be upset or not. For instance, a client who did not receive the bounce house that they paid to rent on time may have a legitimate reason to be upset with your business. A competitor who is simply trying to make you look bad in front of other potential customers, however, does not. It is up to you to first make sure that you accurately identify the issue so that you are able to handle it appropriately. If the person leaving bad comments has a legitimate reason to be upset, it is up to you as a business owner to soothe them. There are many different ways you can do so, and the answer as to how you will soothe each customer depends upon a number of different things. The most important thing when it comes to social media is to make sure that you answer the customer in the very same public forum that they are using to contact you, such as Facebook or Twitter. Answer them publicly so that other potential clients can see that you do take your business, and your clients happiness, seriously. However, if the person leaving bad comments is simply trying to make you look bad and has their own commercial moonwalk for sale, there are two different approaches you can take: to react or not. If you react make sure you do so in a polite way. You can be a bit with if you want, but make sure you give a businesslike reaction. Many business owners, however, choose to ignore, or simply delete, negative comments that have no reason to be on their social media page. Just make sure that if you do simply delete the comment you explain why you delete the comment to your other readers, i.e. you want to keep the page full of positivity. The temptation of purchasing a moonwalk for sale is one that can be very difficult to resist. After all, not only are you able to own your own business but you are also able to do so by engaging in a fun, family-friendly activity. This is enough to make almost anyone believe that they, too, can become an entrepreneur. 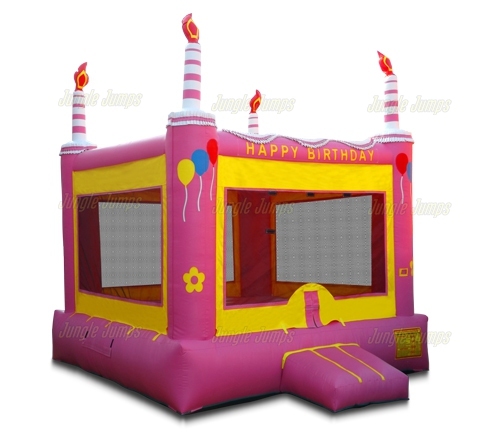 You will find many websites online, and will talk to many people, who will try to tell you that it is not a good idea to start a bounce house rental business in this economy. The truth, however, is that people can, and have been, making an inflatable rental business work for them, even in this economy. There are many challenges that you will come across that you may not have anticipated when you first purchased your moonwalk for sale. Some of these challenges may be easy to overcome by using your ingenuity, but other challenges may have solutions that are just beyond your grasp. What do you do then? You could contact a competitor to ask them to help you to find a solution, but unless the competitor is someone that you have been on friendly terms with that might not be a good idea as you have to remember, they are your competitor. One of the best solutions is to look online. Not only can you find a moonwalk for sale online, you can also find the help you need to run your business beautifully online as well. There are many different places you can go if you’re looking for help to run your business, starting with forms. Since the invention of chat, forums have become much more obsolete than they used to be but they are still the perfect place to go if you’re looking to get help. A forum is basically a location in which you can write down your question and can have people answer the question. One of the distinct advantages of using a forum is that you can ask your question whenever you have a minute of time. Unlike using a chat box, a forum allows you to post a question that people can answer at their convenience. This gives you not only a good chance of getting your question answered fairly rapidly, it also gives you a great opportunity to connect with people who are in the same business and who may have the answers that you need. Remember the days when the only way you could get in touch with all of your clientele at once was to send out a flier? Today’s high-paced world means that you have to do things very differently, and one of the biggest changes businesses have to make is being socially plugged in. Websites like Facebook and Twitter allow you to not only keep in touch with all of your current clients and customers, and to make others aware of your business or services. Lots of businesses sign up for Facebook accounts, but they don’t know how to use it properly in order to get the most from the site. When you set up your Facebook page for your moonwalk business you first need to make sure that you’ve put all of the information on the site that your customers could want. You need to make sure you’ve added your businesses address, even if it’s just the city and state, as well as your contact information. While an email address is a great idea, a phone number will likely generate you more business. You should also make sure that you’ve added your name, as clients feel more comfortable speaking with someone when they know what their real name is, and you should be sure to include a link to your website address. Without these things you’ll find your Facebook page very ineffective. One thing that far too many who rent out moonwalks and who use Facebook forget to do is to post photos! A picture is definitely worth a thousand words, or to you it could be worth a few hundred bucks. Clients and customers like to be able to see the products that you’re renting out so pick a nice day and a large, open space and set up your moonwalks one at a time. Make sure you take photos of not only the moonwalk, but also of children using the moonwalks as well. This gives clients a way to see exactly how the moonwalk works. You can even post a video of children jumping and can narrate the video as well, pointing out how long it takes to inflate and giving tips during the video. Above all, make sure that you keep your Facebook page updated. Don’t set it up and then ignore it. The whole point of social media is to keep in touch with people, so make sure you keep in touch with your clients as often as you possibly can through your Facebook page. Post specials that you have going on and comment about how much fun your recent customers seemed to have with their rental. All of these little things add up to big returns if done correctly.